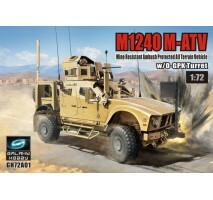 Plastic scale model kit M1240 M-ATV w/ O-GPK TurretScale 1:72Finished model dimensions - aprox. 9 cmBrand / product number - Galaxy Hobby GH72A01.. 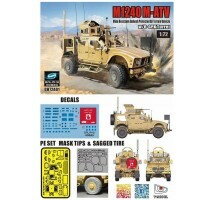 Plastic scale model kit M1240 M-ATV w/ M153 CROWS IIScale 1:72Finished model dimensions - aprox. 9 cmBrand / product number - Galaxy Hobby GH72A02.. 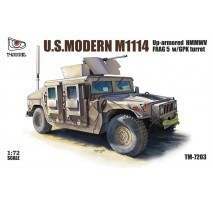 Plastic scale model kit US Modern M1114 Up-armored HMMWVScale 1:72Finished model dimensions - aprox. 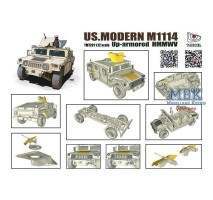 9 cmBrand / product number - T-Model 7201.. 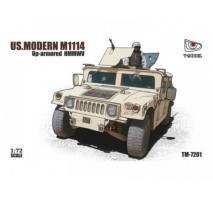 Plastic scale model kit US Modern M1114 Up-armored HMMWV w/ GPK TurretScale 1:72Finished model dimensions - aprox. 9 cmBrand / product number - T-Model 7202.. 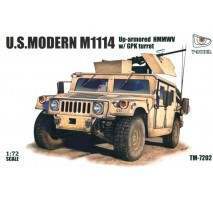 Plastic scale model kit US Modern U.S. Modern M1114 FRAG 5 w/ GPK TurretScale 1:72Finished model dimensions - aprox. 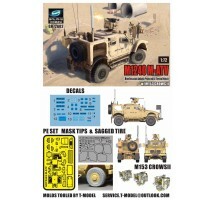 9 cmBrand / product number - T-Model 7203..